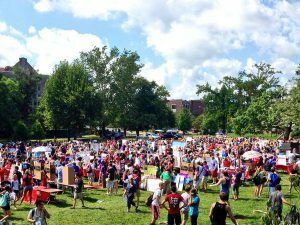 Why YOU Should Get Involved on Campus! Now that you’ve had a little over a month to find your footing at IU, you’re probably finding yourself sitting at home most nights alone watching This is Us on Hulu for 7 hours straight eating pizza rolls…..or maybe that’s just me. Anyway, now that you’ve mastered your class course work, where you can eat and what you actually like to eat from those dining halls, and the bus route, you are NOW ready to GET INVOLVED! Indiana University has SO many amazing organizations to get involved in. There is a club or sport for literally everyone! College is a time to go beyond the friends you made from high school. 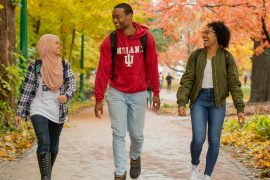 When I came to IU, I was absolutely terrified that I wouldn’t make any friends or that the friends I did make would dwindle away. Being involved has helped me find my place at IU. Being involved can also help you in the future. When applying for scholarships, internships, and even jobs, they look at what organizations you were involved in. You can start by looking for flyers in your dorm, go to the fairs and events at the beginning of the year, and ask your friends! 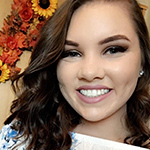 There is an online tool called BeInvolved that allows students to search for different organizations they may be interested in. Getting involved is so important because it allows you to take a break from your school work and have fun doing things YOU enjoy. If you enjoy music or live theater, you can get involved as an usher at the IU Auditorium or the IU Cinema and see shows for….FREE!! 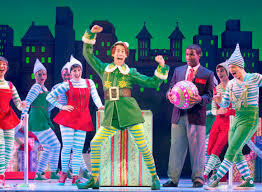 The IU Auditorium presents shows such as Elf and Chicago. If you want to be active at IU but don’t have the time to make such a big commitment, try getting involved with the recreational teams. They have everything from basketball to Quidditch. Greek life is very present at IU. Men pledge throughout the year starting in the fall, and the ladies rush during January. Greek life seems to be a great way to make many amazing friends, have some fun, and help the community. If you don’t want to be in Greek life, THAT IS OKAY! Don’t feel like you have to be in a fraternity or sorority. It is totally your choice! Lastly, If you love kiddos or want to make a difference in others’ lives, you can join IUDM or Camp Kesem. IU Dance Marathon is one of the largest organizations on campus. They spend the whole year raising money for Riley Kids. I joined Camp Kesem this year and I instantly fell in love. Camp Kesem is an organization that runs a camp every summer for children whose parents have been affected by cancer. It is an AMAZING organization and I highly recommend this group! These are just a FEW of the hundreds of organizations available to you at Indiana University. You can choose one or 12 organizations! Make the most out of your time here at IU. If you have ANY questions about different clubs, how to get involved, or anything else you can think of, just shoot me an email! (: GO HOOSIERS!